There are enough places in the world that are capable to provide luxury, fun, entertainment and adventure all along for their visitors , but Dubai is the only place that you can combine luxury and romance to last a lifetime. Dubai is the home of sand, sun and shopping mall where gleaming skyscrapers stand next to ancient mosques, golden souks and wind towers. Your honeymoon should be a reward for all the stresses raised by planning and organizing your happiness and fun wedding, as well as a break to enjoy your first moments as a married couple. Every couple has a common desire to make this event beautifully and memorable day for whole life. Most of the couples consider taking holiday break and plan a honeymoon trip to create beautiful memories of their married life. Very few people exactly know where they should go to have maximum fun and entertainment. Few couples love the luxury life style whereas others find adventure trips more suitable option to enjoy. Dubai is one of the city offers all this and many more. Dubai is one of the perfect potential destinations for the honeymoon of your dreams. Dubai has world’s luxurious hotels and stunningshopping malls, water parks, waterfront resorts, exciting leisure and entertainment spots, golden souks and some other options like glittering man made beaches, internationally renowned nightclubs and golden deserts. By visiting souks you can crown your loved one with luxurious gold jewelry in the largest gold market in the world. Some of the hotels are parts of the sky scrapers that offer you a bird’s eye view of this stunning city. 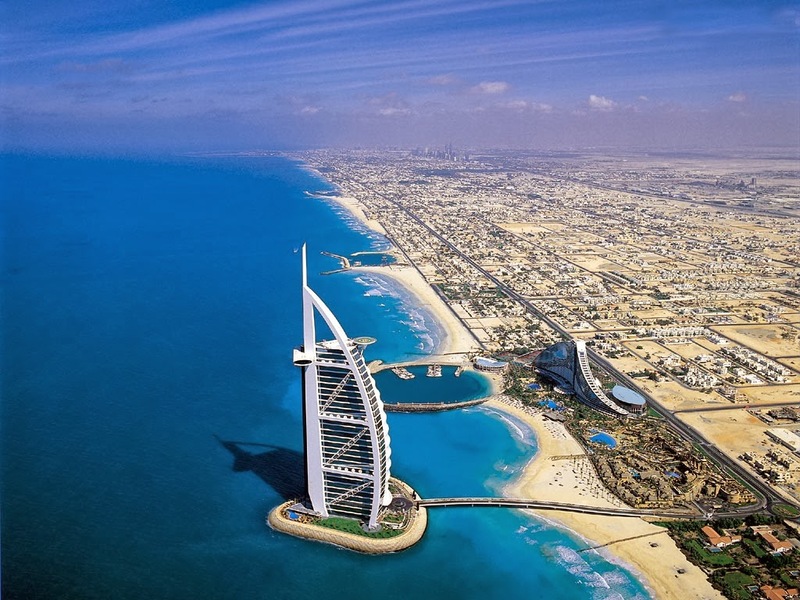 Dubai is world famous for its white sandy beaches and clear blue waters. Dubai has a strange and unique combination of deserts and beaches. If you are a nature lover and want to enjoy your honeymoon trip at a luxurious beach resort then Dubai can be the perfect destination for your honeymoon trip. If you want to engage in some then you can enjoy diverse sand, air and water based adventure activities. Even ice skiing can be enjoyed at an indoor ski resort at Ski Dubai. Dubai is capable to satisfy the holiday needs of everyone. Don’t forget to get to the top of Dubai’s tallest building (Burj Khalifa) while you are in Dubai. With vibrant nightlife, wonderful beaches and the best water games, and shopping centers that gloat splendid attractions like indoor ski parks have made Dubai a heaven for holiday makers especially for honeymooners. Dubai has the beachside luxury and urban opulence of a city that is used to providing visitors with everything they could wish for, making it a stunning honeymoon destination option. At the Dubai seashore with white sandy beaches you will find several added attractions like family picnic spots, eateries, playgrounds, areas for barbeque, skiing, surfing and more. 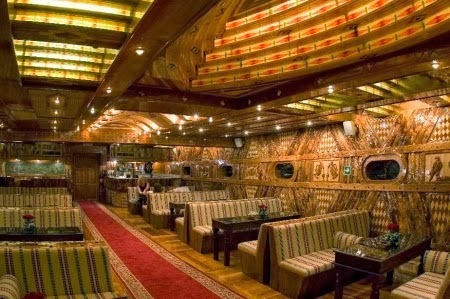 For couples dinner on a Dhow Cruise is a good chance to celebrate their love. This is the right place where you can express yourself. Dubai cruise has been the favorite activity of people. For food lovers and being in Dubai it would be a great idea to join a Dubai Dhow Cruise journey over the dark rich water and enjoy the night beauty along with best world tours. 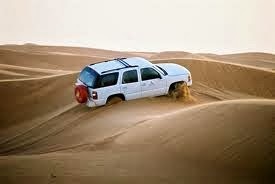 During your honeymoon trip you can enjoy Dubai deserts adventures. The fun of travelling from Dubai to a huge deserted land can be breath taking. You would be amazed to see never ending dunes of sand across you, riding a camel, desert skiing and other natural roller coaster.